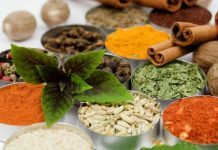 Even the most experienced and skilled herbalist in the world probably couldn’t name off every single herb that can be used in alternative health remedies. Herbalism is thousands of years old and the potential uses of any particular herb are numerous. With so many herbs out there, there are bound to be herbs that do not really have the health benefits that the herbalists promise. However, these ten herbs are the most researched herbs in the world. Your health is safe with these herbs. Garlic is a powerful antioxidant-rich herb with a large variety of uses in cooking. Garlic is used very frequently by Italians and the Italian lifespan is partially attributed to this herb. Plenty of research has been done to show that garlic lowers the incidence and also risks of cardiovascular disease and high blood pressure. Garlic is also great for the liver. Hawthorn is one of the most commonly recommended herbs. Hawthorn is almost a twin of garlic in its benefits. Hawthorn is great for the heart and effectively lowers blood pressure. The quest for an herb that boosts mental power is ongoing, and none of the herbs researched have been clinically proven to boost mental power except for Ginkgo biloba. Ginkgo biloba has been proven to boost visual acuity. Ginkgo biloba is most effective in fighting neurodegenerative disorders that occur among the elderly. Ginkgo biloba has also been proven to fight vertigo, tinnitus, inner ear disturbances, memory impairment, ability to concentrate, anxiety, depression, neurological disorders, senility, circulatory disorders, edema and Raynaud’s disease. This herb is great for the lungs and has been shown to help with allergies and lung disorders. Ephedra is also wonderful for healing the heart, glands, muscles and tissue of the body. Ephedra also fights high blood pressure. Licorice has been proven to have antiviral, anti-inflammatory and muscle relaxant qualities. Licorice also is great for the digestive system. Bilberry has antioxidants that are great for the circulatory system, eyes, heart and brain. This herb has been shown to improve circulation in the body. 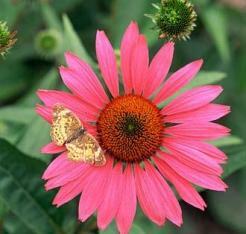 Echinacea boosts immune system. German studies have shown a decrease in the number of doctor visits after patients took echinacea. Echinacea is also an anti-inflammatory agent. 120 scientific studies showed that milk thistle strengthens the liver. Milk thistle also contains two primary antioxidants: superoxide and dismutase. Astragalus is an immunity booster that also improves the function of blood cells. This herb has been shown to speed up wound healing. It can also treat chronic weakness of the lungs, shortness of breath, low energy, prolapse of internal organs, spontaneous sweating, chronic lesions and deficiency edema. This herb has been promoted all over the place. 3,000 studies have shown that helps increase memory and learning by improving circulation. It’s also been shown to reduce cholesterol and protect the liver from toxins. As a result, ginseng can be found almost everywhere. Next articleFoot Therapy To Get Effective Relief From Tired And Achy Feet!